Arch Creek Park is a living legend rich in history. The now extinct Tequesta (pronounced Tekesta) Indians occupied the site from 500 B.C. to 1300 A.D., spanning 1800 years. Due to Arch Creek’s high elevation and close proximity to both Biscayne Bay and the inner Everglades, by way of the Arch Creek and the Natural Bridge, Arch Creek became a significant Indian habitation. A shell midden (refuse heap) is located in the S.E. corner of the park where a large amount of pottery shards, conch tools, and a single burial site have been found. The natural limestone bridge which crossed over the Arch Creek was said to have been one of the greatest natural wonders of South Florida. Noted for its scenic natural beauty, it was the gateway to Miami, a stopover for carriages and stage coaches, and a popular place for picnicking, political meetings, and boat rides. The arch also served as a bridge for the military trail during the Seminole Wars. It became part of the first county road in 1892, which later became Dixie Highway. The bridge finally collapsed in 1973 by causes unknown. Since its collapse, restoration of the bridge had been a goal of concerned local citizens, which was finally realized in 1988. Early pioneers of Arch Creek built a coontie mill at the Natural Bridge to grind the coontie roots into starch in 1858. A dam was built and Dade County’s only known excavated sluice was cut into the limestone to carry water from Arch Creek to a waterwheel that ground the starch. This was probably Dade’s first industry. The coontie mill was not very successful and probably lasted less than a year. During1900-1926, Arch Creek became a town which included a train depot, a post office, a school, a church, packing houses, and stores. The community was basically agricultural, growing tomatoes, grapefruit, and pineapples. The Arch Creek community eventually disappeared. After the land changed hands a few times, it became a trailer park in the 1950s. 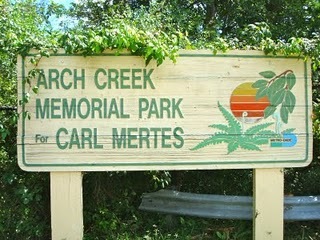 Residents of this park planted many exotic plants that are now being removed. The property was eventually purchased by the Chrysler Automobile Corporation for a used car lot. In the early 1970s concerned citizens, alarmed at the prospects of the destruction of the natural oak hammock and Indian midden, banded together to fight to save Arch Creek. After a long battle and lobbying in Tallahassee, they successes in having the State of Florida purchase the land in 1973. These citizens in 1981 formed the Arch Creek Trust. Dade County leased the land, built the museum, and now maintains the park. Nature trails were constructed by the Youth Conservation Corps (Y.C.C.). The park officially opened in 1982. 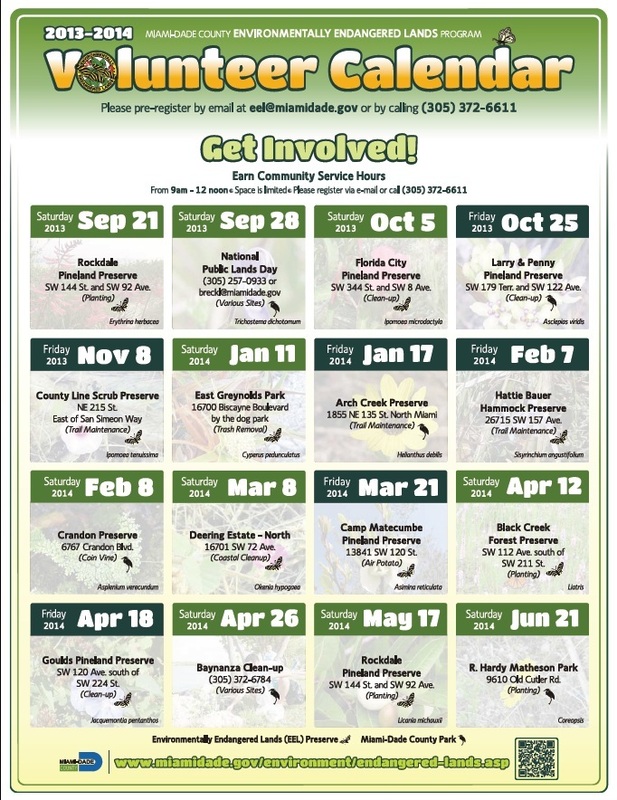 The Miami Dade County Parks & Recreation – EcoAdventures Unit in conjunction with the Arch Creek Trust now work to restore, support and preserve the park. Presently, work is being done to remove all exotics from the park and to restore the Tropical Hardwood Hammock to its natural state. If you are interested in helping to preserve Arch Creek for future generations, inquire about becoming a volunteer with the Park Naturalist.